Here’s a Sign-In Board for a Bar Mitzvah which was also used for invitations. 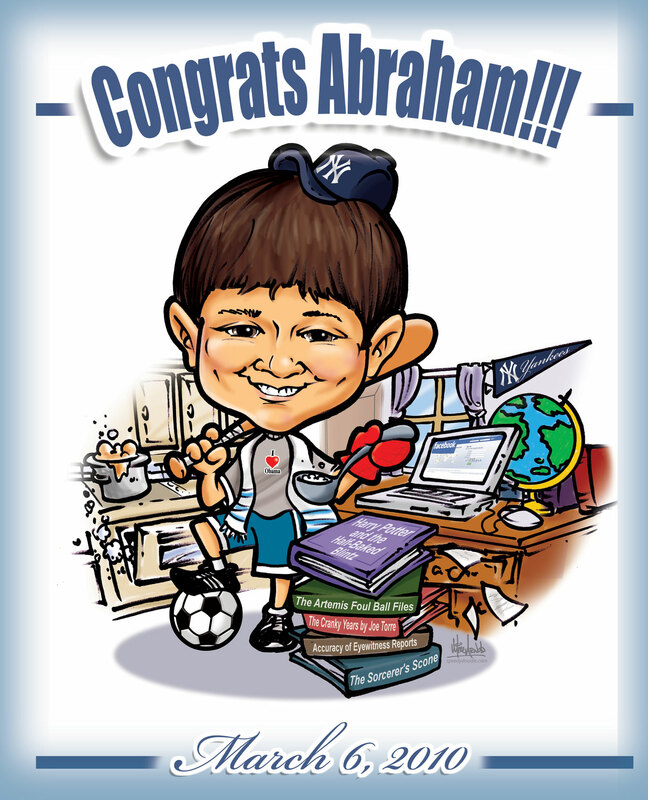 This was finished digitally and then enlarged to poster size (24 x 36) and presented on an easel at the even so all of Abraham’s family and friends could sign their best wishes. It looked really nice when it was full of signatures and made a great keepsake. This entry was posted in Caricature and tagged Bart Mitzvah, caricatures, sign-in board. Bookmark the permalink.